Pathways for a United World: the Youth for a United World to launch a week of actions to eradicate poverty. 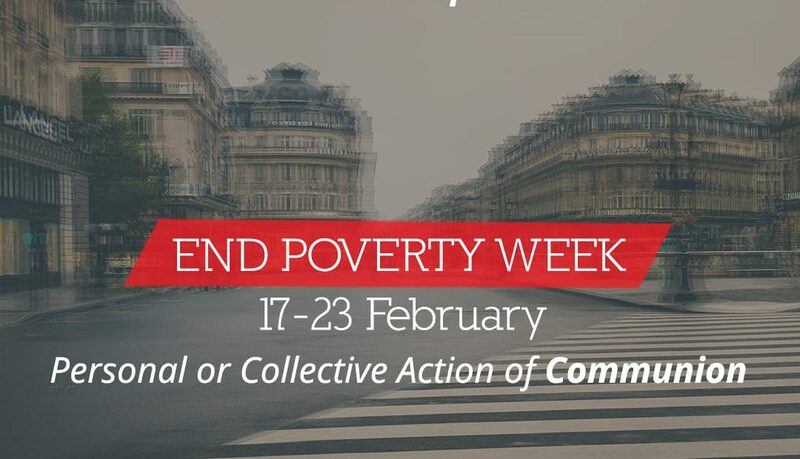 February 17 through 23, as part of the “Pathways of Economy, Work and Communion”, the Youth for a United World invite all people of good will to participate in the “End Poverty Week,” a campaign of awareness for the eradication of poverty. How? The proposal is to promote personally or collectively, actions aimed at overcoming inequalities, in favor of the poor of a given local area, and actions aimed at generating a greater awareness in the area of consumption, for the promotion of an ethical finance. Not only great initiatives but also small daily actions, actions already in progress that can have an impact on the public opinion locally and give a suitable expression to the goal of Pathways 2018-2019: “No One in Need“. “Doing,” and then, sharing! «Act and then share your experience on social media, using the hashtags: #Pathways4unitedworld, #pathway2018, #endpoverty, #unitedworldproject. Be the promoter of the world in which you would like to live! Let us show everyone that the path leading to unity has already set off!” – This is what the Youth for a United World wrote on their Facebook and Instagram pages. Let us dot the world with many small or great actions of solidarity and let us invade the social media by sharing our stories!